India celebrates the Army Day every year on January 15, it was this day in the year 1949 that Field Marshal Kodandera M. Cariappa’s (then a Lieutenant General) took over as the first Commander-in-Chief of the Indian Army from General Sir Francis Butcher, the last British Commander-in-Chief of India. 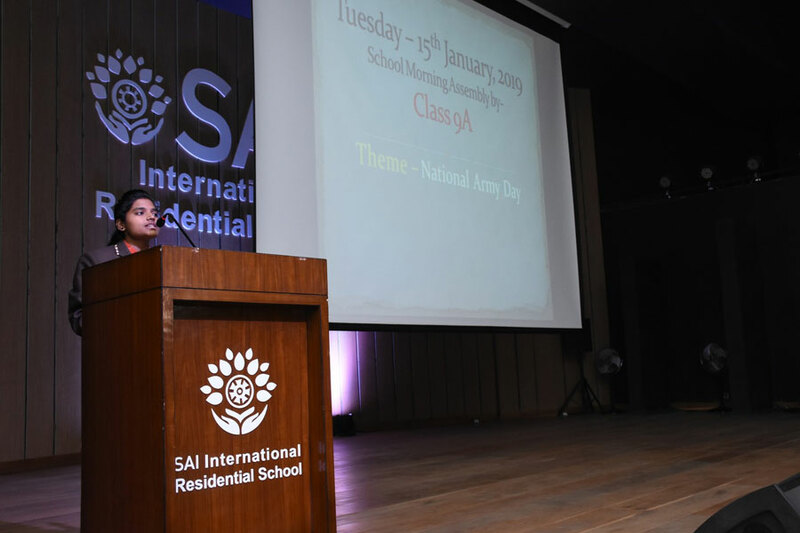 Class IX-A students of SAI International Residential School observed this auspicious day in the morning assembly today, January 15, 2019 by paying homage and salute to the heroes of the Indian Army. In the Army headquarters and the national capital New Delhi celebrates this day with parades and other military activities. 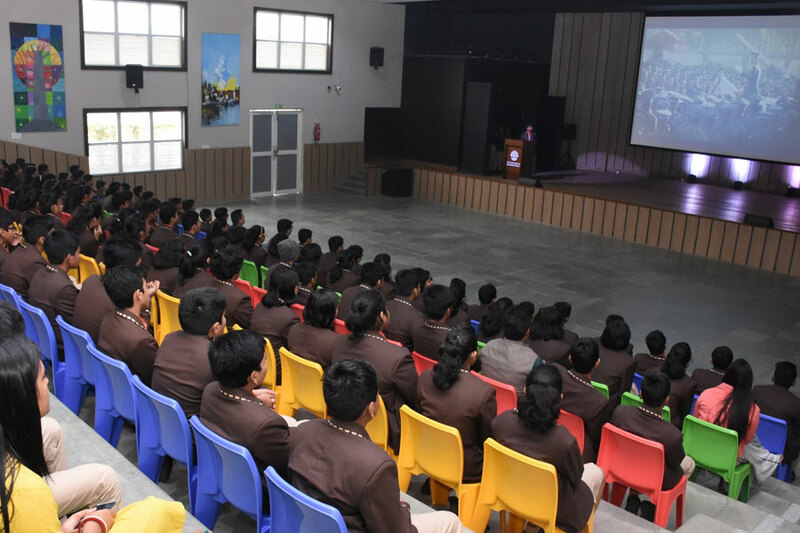 In January 2019 India has celebrated the 71st Indian Army Day in New Delhi, it marks a day to salute the valiant soldiers who sacrificed their lives to protect the country and its citizens. The assembly ended with the National Anthem.